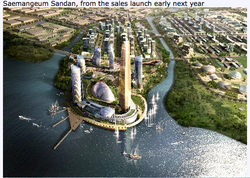 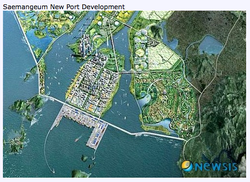 To read an account of my first visit to the Saemangeum Reclamation Project in 2005, click on the dead bird. 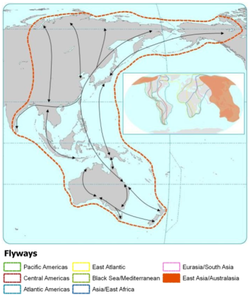 Many of the migratory birds that stop to feed at the Saemangeum on their way to the breeding areas in Russia and Alaska fly from Australia and New Zealand. 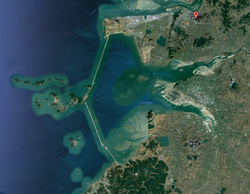 •The area was the most important staging wetland in South Korea for Australia’s migratory birds.